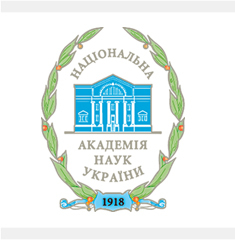 Scientific library of I F Kuras Institute of Political and Ethnic Studies of National academy of Sciences of Ukraine is both research and informational establishment. It was founded in 1928 as the library of the Commission of October Revolution and Civil War in Ukraine. Since 1939 it became the library of Ukrainian branch of the Institute of Max-Engels-Lenin at the Central Committee of the All-Unian Communist (Bolshevic) Party. Since 1956 it was the library of the Institute of Party History at the Central Committee of the Communist Party of Ukraine and Ukrainian branch of the Institute of Marxism-Leninism at Central Committee of CPSU. Since 1990 it became library of the Institute of Political Studies at the Central Committee of the Communist Party of Ukraine and since 11.12.1991 it became library of the Institute of National Relations and Political Science of NAS of Ukraine. Finally since 5.12.1997 it became scientific library of the Institute of Political and Ethnic Studies at National Academy of Sciences. The library offers more about 120 thousand of copies. Among them are 93 thousand books, 27 thousand of periodical copies as well as texts of theses (dissertations) on the history of Ukrainian Communist Party and on the speciality “Political Institutes and Processes”. Illegal publications of various parties before 1917 (they so called “Geneva Fund”) present interest and are valuable for scholars. Among other periodical publications are: “Kievskaya Starina”, “Nashe Mynule” (1917-1918), “Litopys Rovolutsii” etc. The main subjects since 1992 in the choice of books for the library are interethnic relations in Ukraine, prognostication of their main lines of development, theoretical, legal, socio-political and ethno-psychological mechanisms of settling interethnic conflicts, national minorities, historical, socio-political and culturelogical problems of development of various ethnic groups in Ukraine, Ukrainians abroad in the areas of settlement, issues of ethnic politics in foreign Ukrainian studies, theoretical and applied issues of political studies, political parties, social movements, interethnic problems in Ukraine.